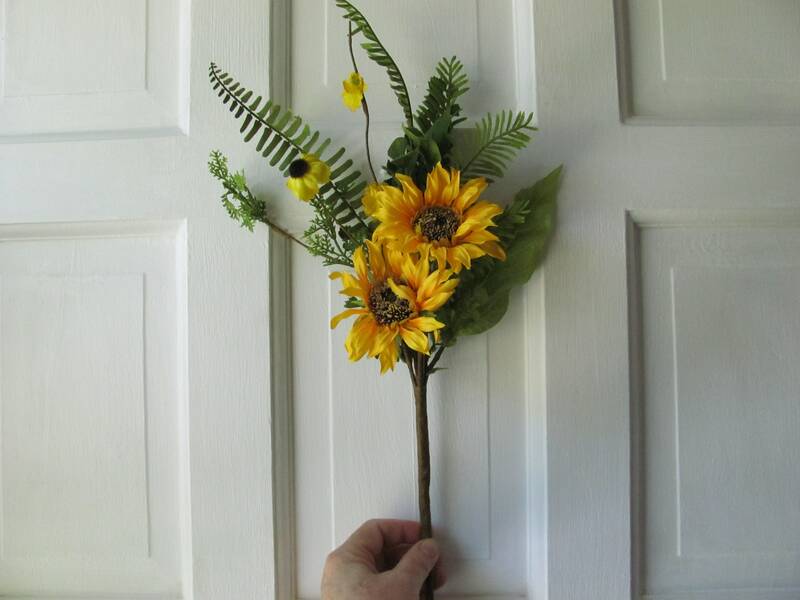 Flower Filled Weddings is all about your wedding.This shop has the accessories, decorations, flowers, bridal jewelry and gifts for the bridal party too! 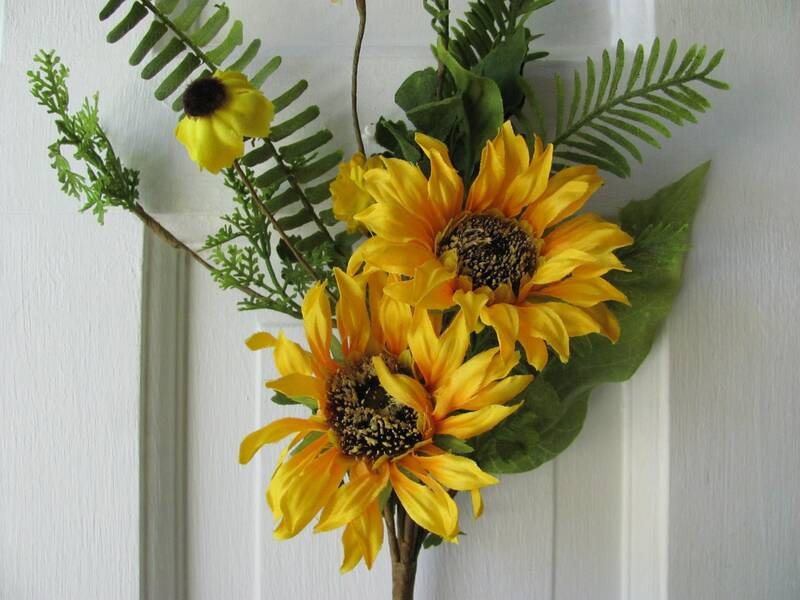 Sunflower floral pick ideal for weddings and home craft projects. 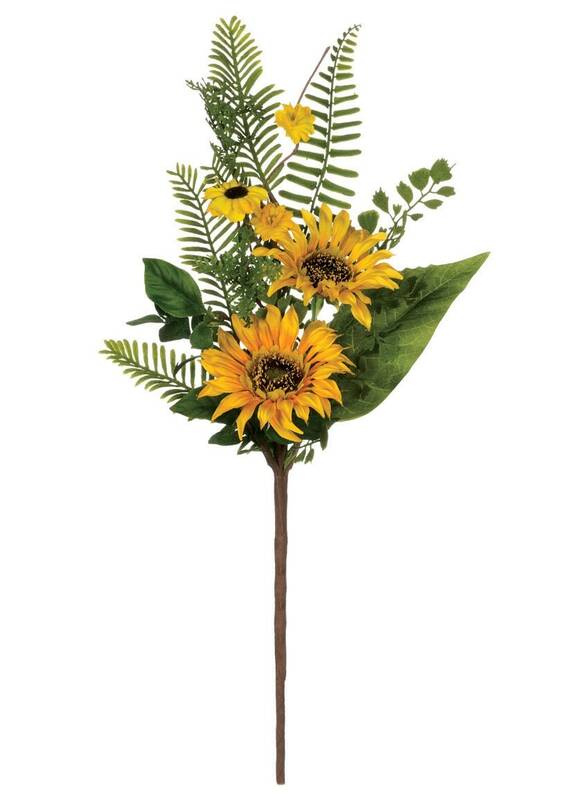 Vivid golden sunflowers add a pop of color amidst the greens of this bright floral pick, making it the perfect way to add a little sunshine to your decor. 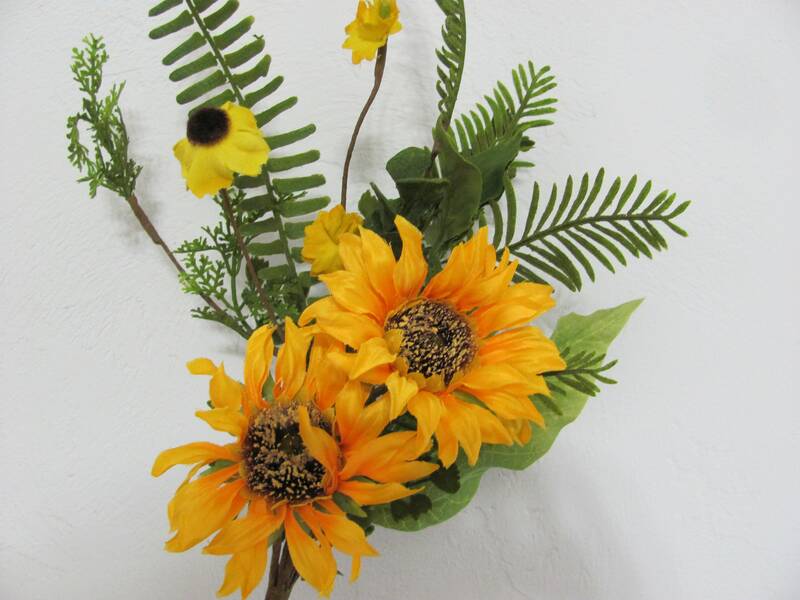 The realistic combination of florals and foliage will look cheerful on the project you are creating be it a centerpiece, floral bouquet, wedding chair flower decoration or home decor.